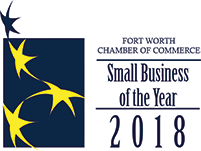 Senior Applications Engineer, Computational Engineering International, Inc. 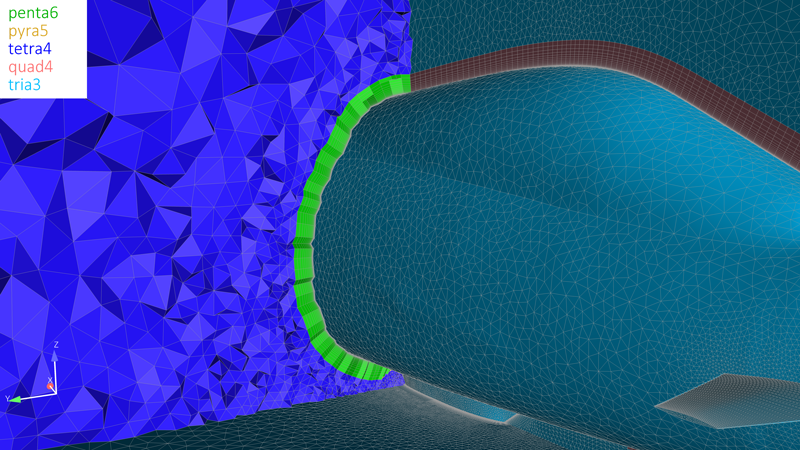 Appropriate grid generation is a key aspect to obtaining a high quality CFD solution in an efficient manner. Inspection of grids to assess element quality, grid density, and grid placement is critical to the setup of computational models. The visual and computational capability of EnSight allows users to inspect, visualize, and quantify the quality of the grid used in a simulation. Engineers at CEI have developed these tools to help users understand the grid they have generated and will be using with their CFD solver. EnSight can visualize, quantify, and illustrate grid metrics for any type of grid exported from Pointwise, but it is particularly useful when inspecting recombined T-Rex grids, which are generated on export from Pointwise. In this article, we will highlight three common tools you can utilize in EnSight: coloring grid by element type, mesh display attributes, and element metrics inspection. When this tool is executed on this sample recombined T-Rex grid, we can quickly inspect the topology of various grids used. Figure 1: A recombined T-Rex mesh in EnSight demonstrating the ability to color a grid by element type. In addition to turning on the “grid overlay display” in EnSight, you can either color the grid by a constant color (gray, black, white, etc.) or you can have different parts of the grid displayed in different colors as shown in Figure 2. 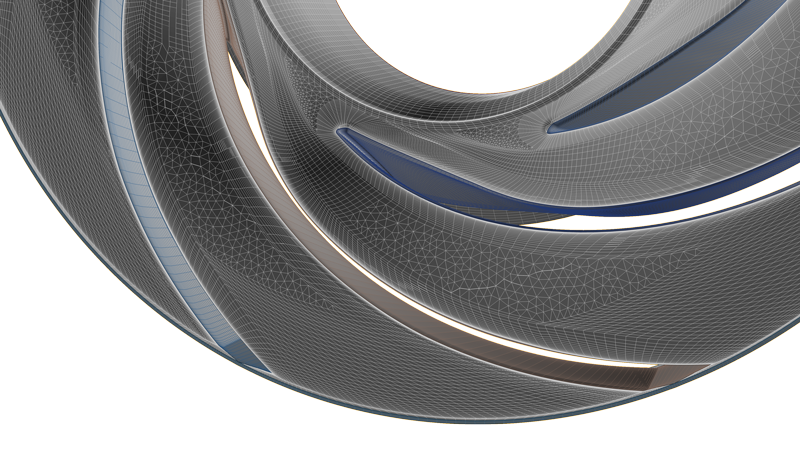 Figure 2: Using the Colored Mesh tool the user can overlay a multi-colored Pointwise mesh on top of the impeller part. Here, the model edges are illustrated with black edge lines, while the grid display mimics a hidden overlaid grid mesh. Determines the element types selected, and only calculates EleMetric quantities that apply. Creates separate scalar variables for each metric computed. Users can color by any of these variables, query where maximum or minimum values occur, or create an isovolume of a range in the quality metric. 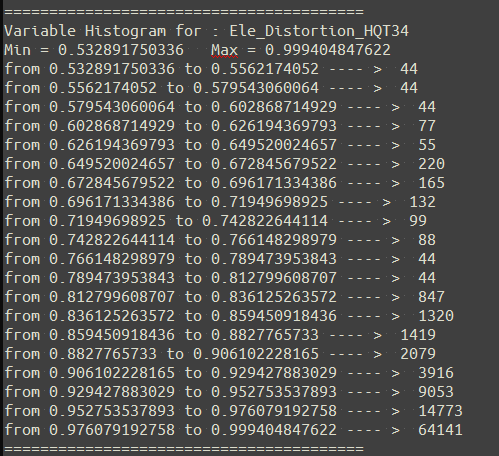 Determines a histogram distribution through the domain, and writes this to a text file (EleMetric_Histogram.txt) in the directory where your case is located. This file is simple ASCII, and can be inspected with any text editor. An EnSight Query is generated for each metric histogram, so you can visually graph the distribution of that metric for the domain. The first option allows the user to calculate the metrics for all parts in the model or to operate only on the current selected parts. The histogram options control the number of bins for the histogram function, as well as where to write this information (text file and/or EnSight query registers). The typical output to the text file provides an overview of the variables computed and quantification of the variable distribution in the domain. 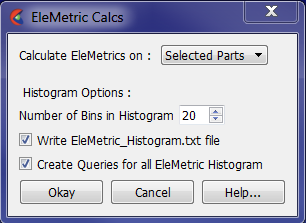 Figure 3: The GUI for the EleMetric_Histogram script. Figure 4: The text file containing histograms for all of the element metrics computed. Figure 5: Sample visualization of the scaled Distortion distribution for a multi-block structured mesh from Pointwise. 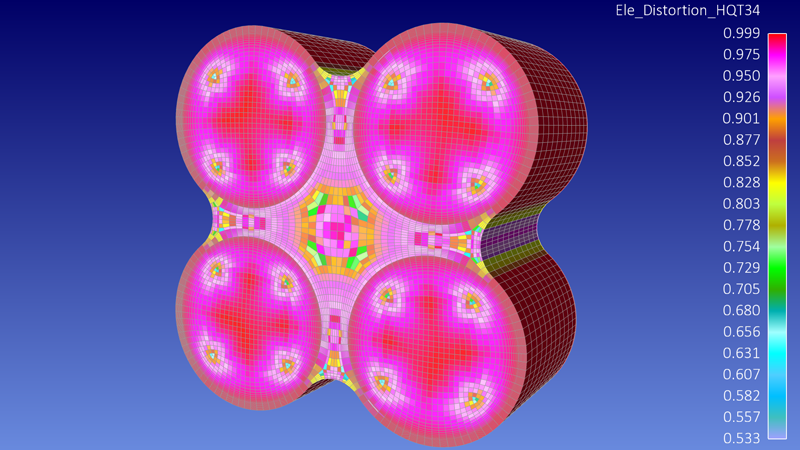 The current Sandia Verdict Library operates on triangle (3 node) and quadrilateral (4 node) 2D elements; tetrahedral (4 node) and hexahedral (8 node) 3D elements. It does not, however, contain metrics for pyramid (5 node) or prism (6 node) elements. We are discussing with Pointwise on how to enhance the routine to work on a broader range of element types.